Description: This is a very nice late scroll faceplate machine. The paint is excellent. The decals are also very nice except for a 3" long section with some wear on the front right side of the bed. Case is very good but is missing the lift-out tray. Includes the bobbin case, 5 bobbins, and foot controller. 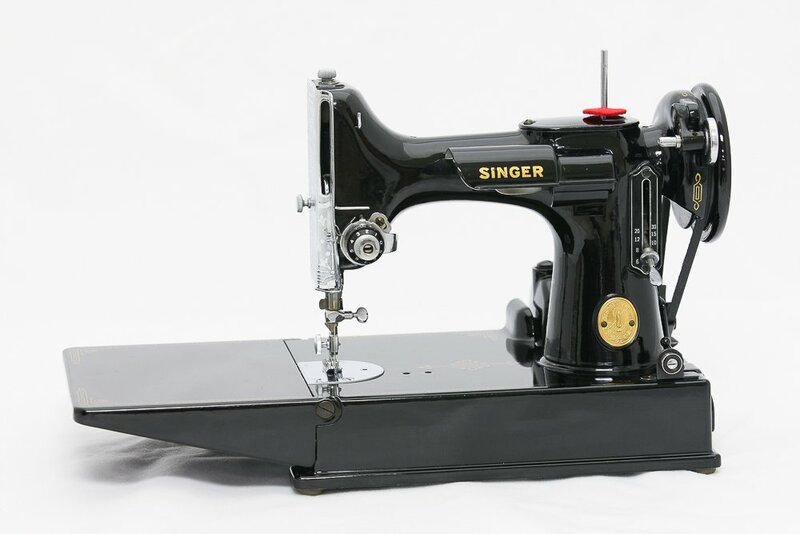 A gorgeous shiny Featherweight that has been serviced and is ready to sew, and you will be proud to own.